Automatic or manual display of live images or recordings on Bosch VMS Operator Client in response to alarms or alarm acknowledgements. Manual control of live images or recordings directly from BIS location or device overviews. Ability to receive and process Bosch VMS alarms (motion detection, camera failure, …) within BIS. Control of video recording from within BIS. 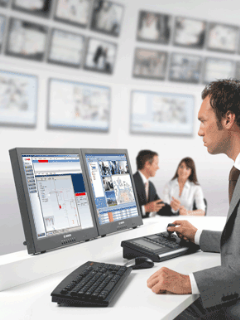 Bosch Video Management System license for DIVAR IP. Expansion license to integrate a Building Integration System (BIS). Three years of maintenance cover for the OPC Server Connection expansion license.